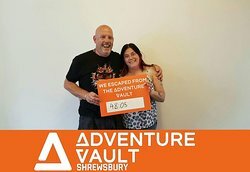 Shrewsbury's first dedicated escape room venue. 2 adults plus 13 and 10 year olds. The Scandal was challenging but great fun and really needed to use our brains. Hosts v helpful and welcoming giving us helpful, well-judged hints. Just got out on time! Would definitely recommend. BRILL. Great concept, great staff and really good fun. All 3 of is would fully recommend you try it, we've no doubt you will have as good a day as us. 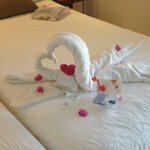 We did the two rooms and thoroughly enjoyed both. Hosts, Tom and Megan were very welcoming. Really well thought out puzzles that tapped into everyone’s skills. The time flew! Very good hospitality and a fun room. This was our first escape room and it was brilliant. Good puzzles, great host and great fun had by all! Looking forward to the new escape room being opened soon! Get quick answers from Adventure Vault staff and past visitors.